Did you ever know that a tablet that is used to treat pain and fever could prove to be a remedy for skin problems? Astonishing, right? The tablet – Aspirin, that we pop in whenever we experience body pain for instant relief, could enhance our beauty too. With the regular usage of Aspirin in face masks, your skin can become healthy and supple. This is because Aspirin has an acetylsalicylic acid which is a crystalline compound that is obtained from salicylic acid. The BHA in the tablet will help to soothe the skin by reducing the redness, inflammation and itchiness. The facial skin is very subtle and delicate, so it should be treated with care. Aspirin can be used regularly to pamper any skin type. Powder the Aspirin tablets and blend it well with yogurt. Apply this pack evenly over the face. Let it remain on the skin for 15 minutes. 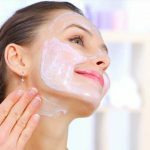 Remove the pack with a wet washcloth.Aspirin helps to open up the pores on the skin and yogurt will moisturize the skin. The properties offered by these both ingredients will improve the skin tone and brighten it. This pack can treat skins that suffer from allergies and rosacea. Crush the Aspirin tablets and mix it with the lemon juice extract. Spread this paste over your face. Wait for 10 minutes and you are done! Rinse it off with plain water. You could experience for yourself a blemish free, clear and spotless skin. Thin down the Aspirin tablets with mineral water and make it into a paste. Add some honey to this mix. Spread it on the skin and let it dry for 20 minutes. Wash it off with plain water. 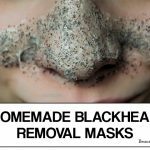 After you try this, you will notice that the blackheads and whiteheads are dried off. Dilute the tablets with the water and form a paste and add in apple cider vinegar slowly to this paste. Mix thoroughly. Apply this pack over the dull and damaged skin to delight your dry skin and give a natural uplift to the skin. Powder the aspirin tablets and mix it with the lemon juice extract and yogurt. This refreshing pack has the ability to heal sun burns and eliminate tans from the skin. It is because curd has natural healing properties to cure sunburns. Lemon also possesses properties that could slow down the oxidation process and even the skin tone. Grind the Aspirin tablets and add water to it. Add in organic honey and almond oil to the paste and mix well. Apply this paste on the skin and hold back for 20 minutes. Rinse it off with lukewarm water. Powder the aspirin tablets and make it into a smooth texture. Slowly add in tea tree oil and water to the mixture and apply it on the facial skin. Rinse it off after 20 minutes. The blocked pores are cleansed, hence resulting in eradicating acne. The dead cells will be flushed out from the skin. The discoloration caused due to sun damage can be repaired and the original color can be retained. Wrinkles and fine lines will disappear. 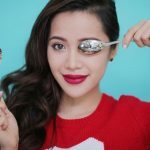 The puffiness/swelling under the eyes can be fixed. Aspirin is a magic formula that could cure many skin damages. It works well if it is used before going to bed at night. Take care while applying the face mask, as the flakes of Aspirin might cause burning if it enters the eyes. 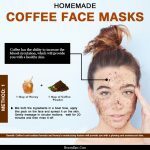 Follow these methods and rejuvenate your skin! With the regular usage of Aspirin in face masks, your skin can become healthy and supple. This is because Aspirin has an acetylsalicylic acid which is a crystalline compound that is obtained from salicylic acid.